Below you will find Top Kendriya Vidyalayas in Arunachal Pradesh 2018, List of Best Kendriya Vidyalaya Schools in Arunachal Pradesh Region. Kendriya Vidyalaya Dirang was founded in the year 2007 and is run by the mammoth organization the Kendriya Vidyalaya Sangathan. Promoted in the year 1984, Kendriya Vidyalaya Pasighat, East Siang is a co-ed school managed by Kendriya Vidyalaya Sangathan. 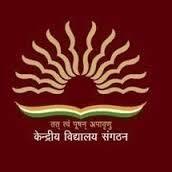 Kendriya Vidyalaya NERIST, Nirjuli, Papum Pare is a co-ed school managed by Kendriya Vidyalaya Sangathan. Founded in the year 1973 under the patronage of Kendriya Vidyalaya Sangathan, New Delhi, Kendriya Vidyalya Tenga Valley stands a testimony to the ever-increasing number of pupils passing through its portals, molded in all spheres, fit to face the growing challenges of the modern world.